Synchronize means to update your Server database with Local one. Let we deliberate this topic in brief all the contacts are stored in names.nsf file which is made at two paces i.e. Local as well as Server. If we made some changes to the client side and want to make it permanent then there we need to synchronize our contacts. Here we will elaborate the method of doing synchronization. 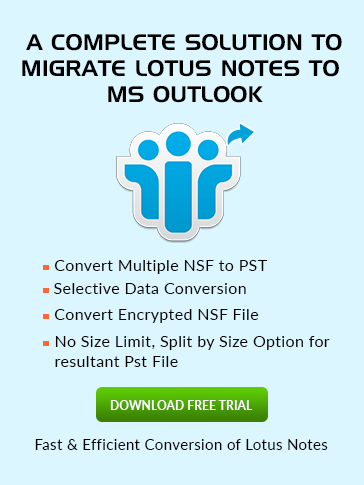 Firstly open IBM Notes and go to Contacts then select File Menu and choose Preferences. After that Preferences window will be open in which you have to pick Contacts from left panel and check "Enable Synchronize Contacts…" should be enabled and then click on OK button. Now you will be back to main screen click on Open, a dropdown menu will be open choose Replication and Sync as seen below..
Now a window will be open in which you will be seeing 3 options Start Now, Schedule and Option. Make sure that Synchronize Contacts will be marked up as seen below. If you want to schedule your Synchronization as per your choice then click on Schedule option and choose Set Replication/ Sync Schedule refer to the picture. Now a window of "Replication/Sync Schedule…." will be open as mention below. Now you are free to synchronize your address book at your own conditions after that click on OK.
Now Click on Start Now and wait for the completion of task.